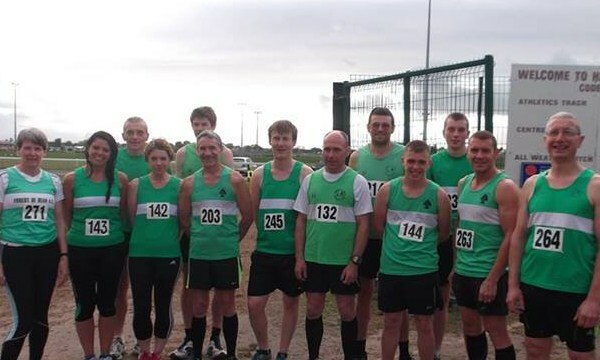 A number of Forest of Dean AC runners took part in the second race of the 2014 series. After some rain, conditions were a bit breezy which was reflected in the times, with few managing to beat their results in the April race. First FODAC to finish was Pete Woodward: 6th in 17:19. Performance of the night went to Jack Fleet, first in his category in 18:20. Third to finish was John Russell in 18:25. The ladies were better represented this time with Lynne Park finishing first in 23:50, followed by Jackie Green 24:34 and Claire Morgan 26:10. Other times: James Dobbing 18:35; Leyton Fleet 18:43; Marcus Bennetton 19:13; Daren Smith 19:29; Julian Boon 19:57; Alan Robertson 20:52; Chris Moore 22:30; Peter Short 23:12; Graham Bennetto 25:34; Louise McKenzie 26:40 and Vanessa Peglar 27:06. The final race of the series is on June 11th.